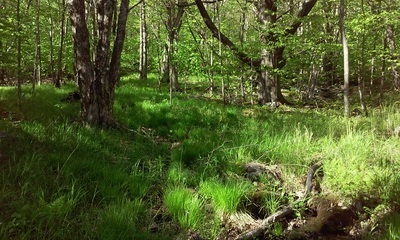 Little Wilson Creek Wilderness, located in western Grayson County, was establish in 1984. The 5,461 acre Little Wilson protects the southeastern flank of Pine Mountain. 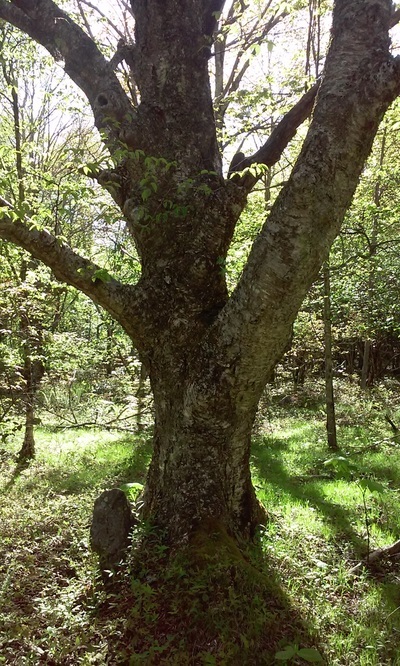 While its next door neighbor, Lewis Fork Wilderness plays host to Mount Rogers, the highest point in Virginia, Little Wilson provides many other unique opportunities to explore. 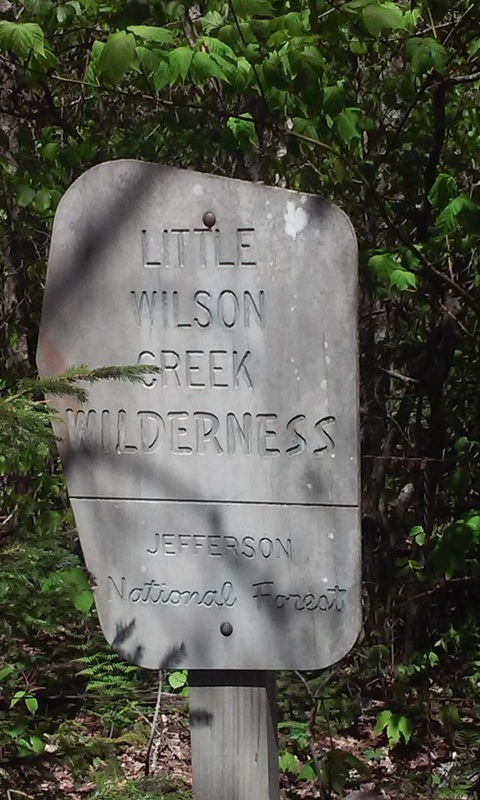 The hallmark of Little Creek Wilderness, and its namesake is Little Wilson Creek, a designated cold water stream. 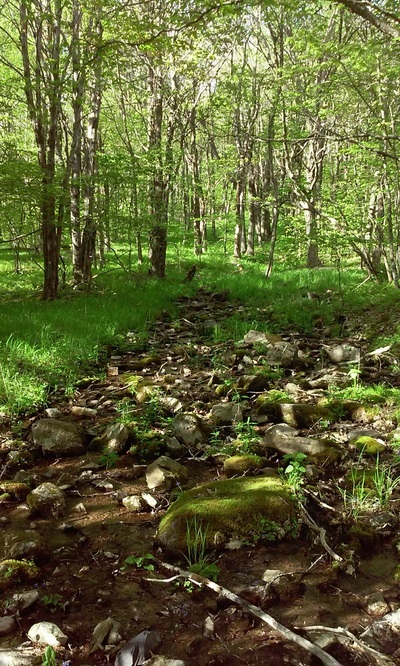 Starting high on the southern slope of Pine Mountain, the creek’s simple beginning is nothing short of amazing. 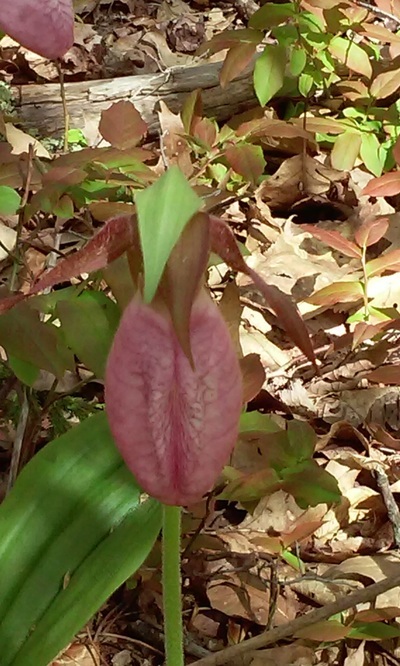 Hundreds of small seeps and springs create a high elevation bog that hosts many rare species of plants under a canopy of Yellow Birch, Red Spruce, and other northern hardwoods. Little Wilson Creek is a tributary of Big Wilson Creek. Its waters flow into the New River and ultimately the Gulf of Mexico. Solomon Branch and Mill Creek drain the northeastern portion of the wilderness. 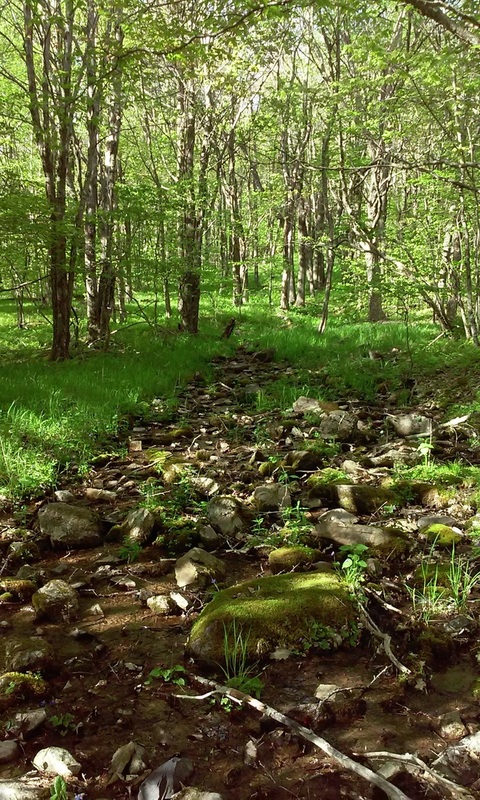 Both creeks are tributaries of Fox Creek and are also recognized as cold water streams and support native Brook Trout. With a significant elevation gain from its lowest point, 3,220 feet, at its southern border to almost 4,860 feet on the summit of Second Peak, Little Wilson Creek Wilderness offers many spectacular views. Climbing First Peak Trail to the Wilderness boundary offers unparalleled scenery. The high elevation heath and balds offer glimpses of Mount Rogers and the rocky knobs on Pine Mountain. Hiking the Hightree Rock Trail one is rewarded with a rock outcrop overlooking the Fox Creek Valley. Another unnamed cliff just off the Jessie Street Trail affords a great view down Mill Creek and the northern end of Pine Mountain. Bearpen Ridge is the scenic backdrop for the Little Wilson Creek. The ridge climbs from the junction of Little Wilson Creek and Big Wilson Creek to the summit of First Peak. 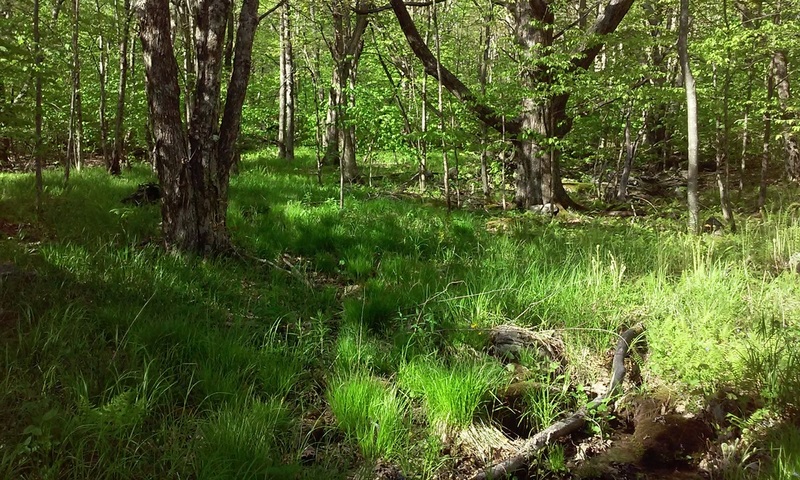 ​Little Wilson Creek Wilderness is also the scenic backdrop for Grayson Highlands State Park. 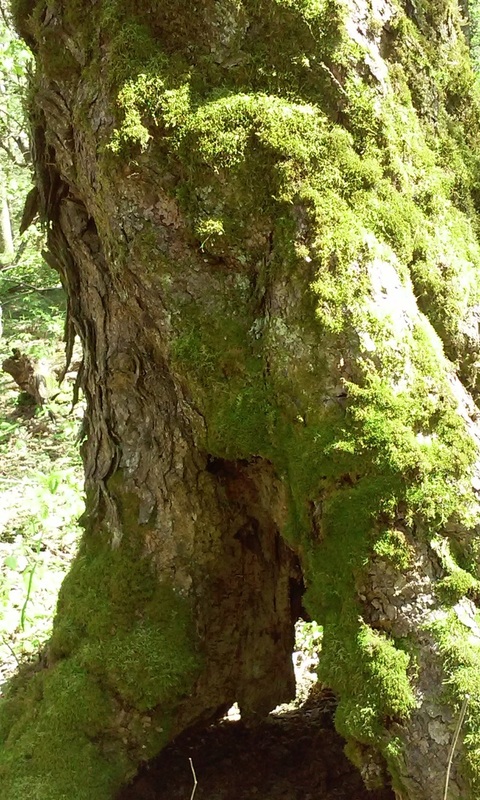 Many of the trails within the Wilderness begin at the park boundary. 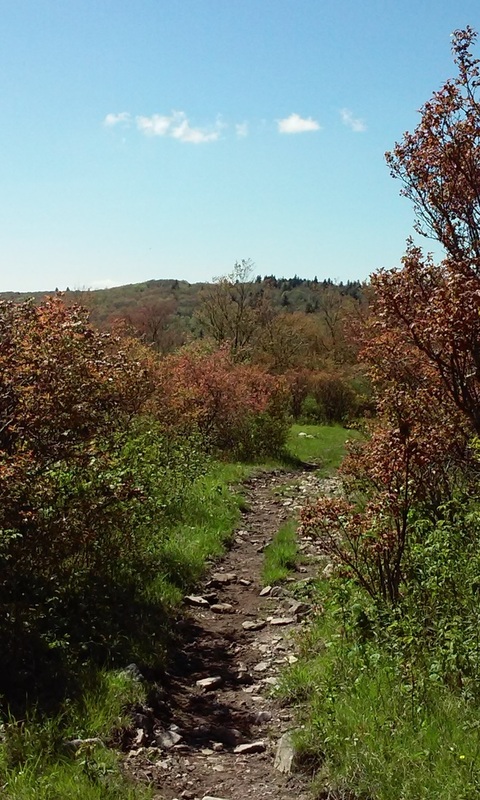 The trails of Little Wilson Creek combined with the trails of Grayson Highlands State Park provide numerous opportunities for loop hikes and other primitive recreation activities. The Wilderness is also popular with the equestrian community and many of its trails are frequented by people on horseback.